Last week I ran my annual preschool nature camp. Every summer for one week I run a small, morning only camp for 3 to 5 years at a local historical site. The beautiful grounds, gardens, and natural water sources give us lots of opportunities to explore nature. Unfortunately, the weather last week stumped me a little as there were several rainy mornings. However, one rainy morning lead us to the fun of exploring Earthworms! Despite the rain, we got outside and looked through the gardens and mulch to find several different worms. And when we got back inside? 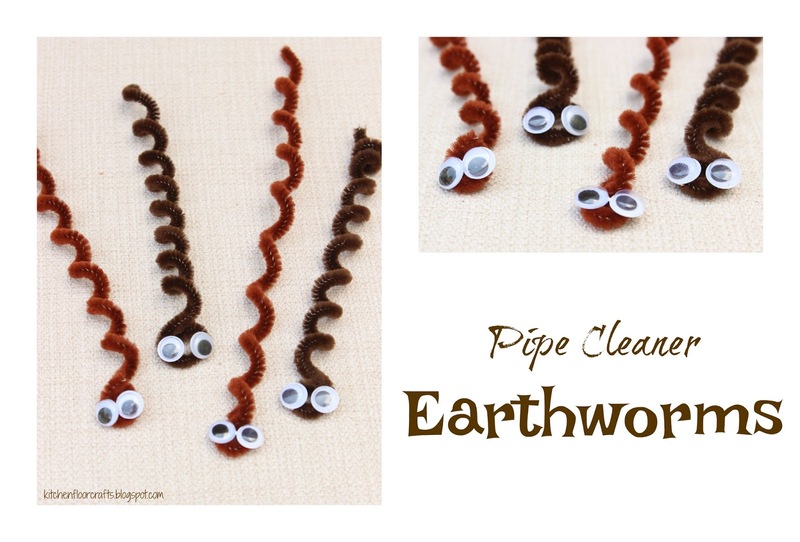 We created these adorable pipecleaner earthworms. We also paired the experience and craft with several books about earthworms, which meant kids also learned several interesting facts about worms. It's been a busy summer, and for the most part on our down times we're ready to just unwind with some swimming, playing, and and other summer activities. But occasionally we get inspired to tackle some new projects. In the last few weeks we've been invited to several barbecues. 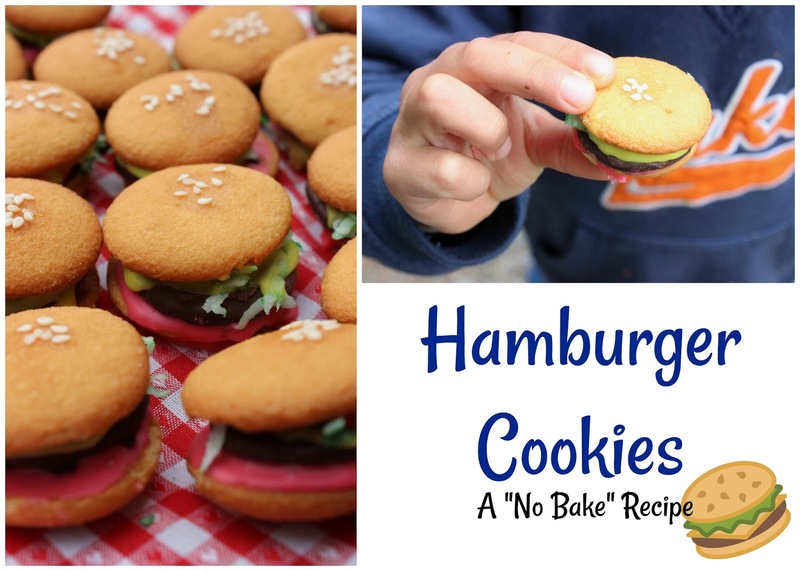 I used to make these fun and easy "no bake" cookies with my mom as a kid, and they are the perfect treats to bring to a barbecue! Even better, while they are super cute they are also a "No Bake" recipe which means you don't have to run your oven in order to enjoy them. Perfect for hot summer days. One thing I'm striving for this summer is to try and not sweat the small stuff and to keep things simple when possible. So when I realized that somehow the 4th of July Weekend has already snuck up on us I decided to keep our festive play simple and go with some playdough play. 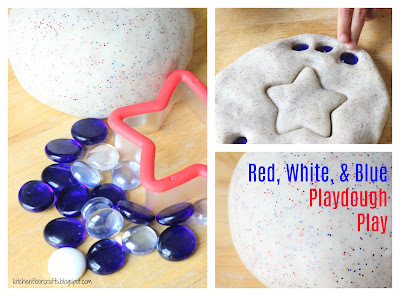 We have a great basic cooked playdough recipe which can be tweaked in lots of different ways to create slightly different versions or play invitations. 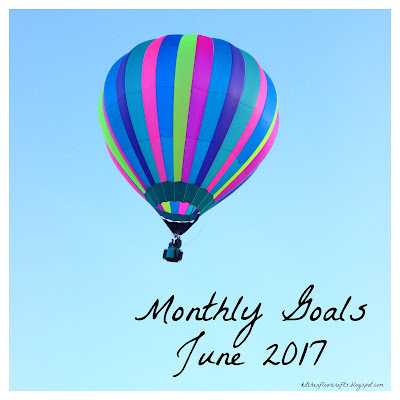 It's been a busy month, as you might have seen from our June Monthly Goals post, on both the work and personal front. This has meant it's been one of our quietest months yet at Kitchen Floor Crafts. However, while we may have been distracted we've still had a few moments for crafting fun and family focused time. 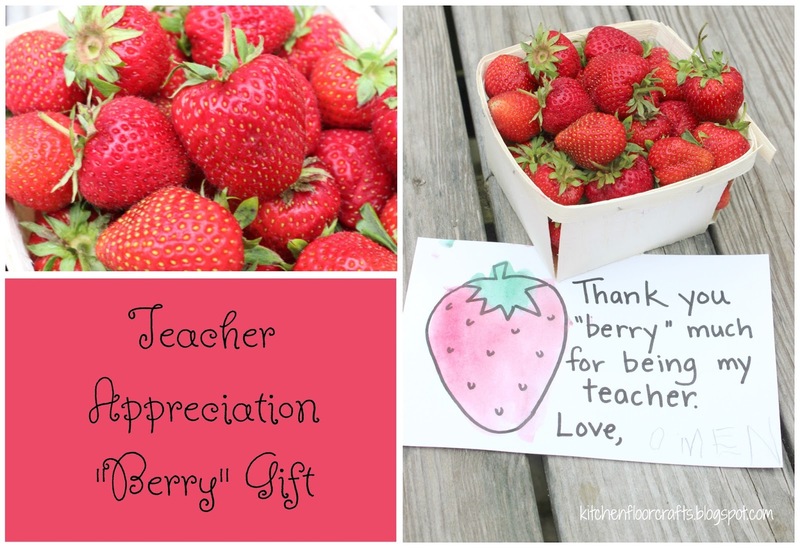 This included putting together an end of year gift for Little Brother's preschool teachers. His year ended a little later than Big Brother's, which meant that the local strawberries were already in season. Who doesn't love fresh strawberries? We paired fresh strawberries with a handmade card to create this sweet and memorable teacher appreciation gift. This year I have been setting goals each month using four themes: balance, purpose, health, and organization. These themes have helped me focus each month on specific steps towards creating positive changes and growth. 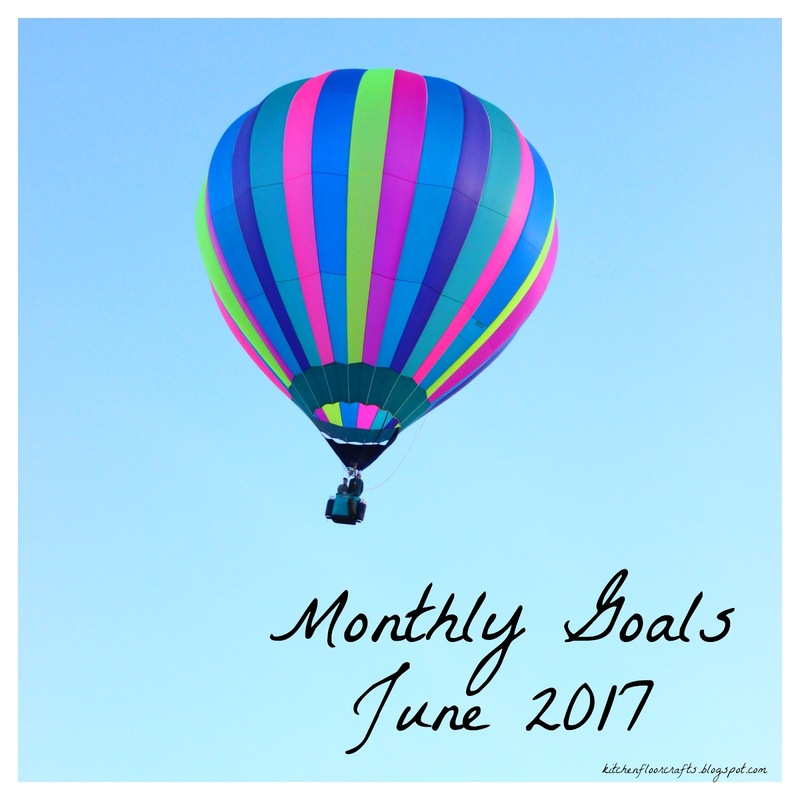 In June these themes still apply, but my focus is a little different. This month is a bittersweet one for me, as for the first time in over 10 years, I am preparing to change schools. On top of the normal craziness that always comes at the end of a school year, there is extra emotion, need for organization, and anticipated change. 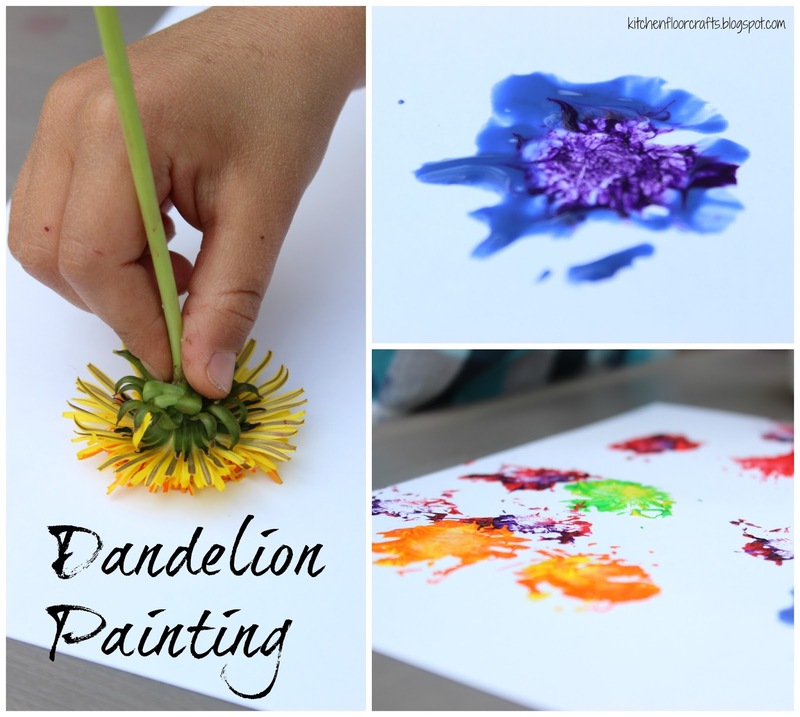 It's that time of year again when now that the grass is green the dandelions are popping up too. I have to admit, even though I know they are a weed, there is something so summery about seeing those bright yellow bursts all over the yard. Of course, the boys love to pick them. And in addition to picking them, we've discovered how great they are for painting with. 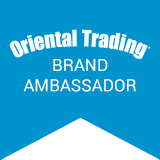 They make awesome designs!